We have been told by our suppliers that we sell more corrective lens mask than the whole of the rest of the Australian dive industry combined. It's because of the detailed information on this web page, plus our excellent customer service and everyday low prices. Please read the following information carefully. Then join the thousands of divers and snorkellers who are seeing clearly underwater using a corrective lens mask from The Scuba Doctor. If you wear prescription glasses, diving and snorkelling masks fitted with lenses with your exact prescription can be obtained. But it's very expensive and time consuming. Most divers and snorkellers don't require this expensive solution and their needs can be solved with less expensive and quick to obtain corrective lens mask solutions. The important thing here is to make sure that the variety of your needs are taken into consideration and the right solution is chosen. If you are a snorkeller you probably just need to see objects in the distance, therefore a distance only correction lens can be used with selected masks. That's the case for many divers as well. The solution is what we call a negative corrective lens mask — a negative correction to the whole lens, for short/near-sighted people with myopia. For some scuba divers and snorkelers it's the reverse and and they need positive correction lenses for near vision issues. The solution is what we call a positive corrective lens mask — a positive correction to the whole lens, for long/far-sighted people with hypermetropia. Some scuba divers just need a bit of help reading their gauges, dive computers, or camera controls. The solution is what we call a 'bifocal', or gauge reading, corrective lens mask — clear or planar on top and a lower pane with positive correction for reading. Sometimes snorkellers and scuba divers have eye shapes that require lens shapes not available with corrective lenses. They need a full prescription lens mask solution, and we can't provide it. 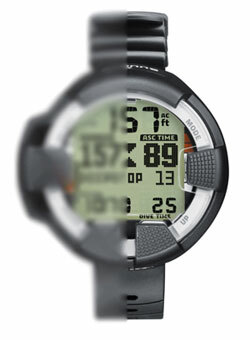 Also, some divers may need both distance correction to see the underwater life, and near correction to read gauges and dive computers. Therefore, depending on your prescription, true bifocal, or truncated, full prescription lenses may be required — distance correction on top and a lower pane with positive correction for reading. This is what we call a full bifocal prescription lens mask solution, and we can't provide it. Your optometrist is the best person to advise you as to which of the above solutions are right for you. Please show them this web page so that they can understand what we can and can't do. Then they can give you the right and left eye correction values we need to provide your underwater vision solution. 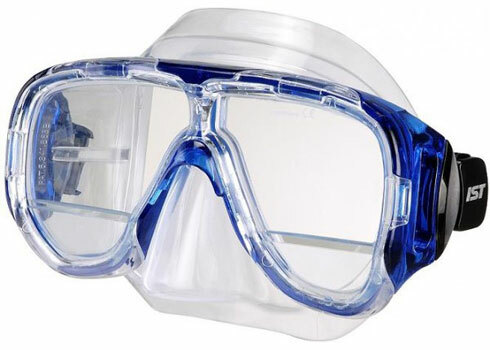 The Scuba Doctor is able to provide the dive and snorkelling masks listed here already fitted with pre-made corrective lenses that correct close to your prescription, not exact. This is a good solution for most scuba divers and snorkellers with low astigmatism. Corrective lens mask: the mask, plus two separate correction lenses. Supplied with the corrective lenses fitted, plus the original normal lenses. We can offer dive masks in a range of correction strengths to suit most people. We offer positive and negative corrections and bifocals. Bifocals are great for people who are long sighted and just struggle to view their gauges. The lenses we supply are not the stick on type, they are complete replacements for the current lenses. We can therefore only supply these on a select few masks. Some of the masks with optional vision correcting lenses can be obtained with either a '-' (minus/negative) dioptre (e.g. -1.5 to -9.0), or a '+' (plus/positive) dioptre (e.g. +1.0 to +4.5), typically in 0.5 increments. Some divers require negative distance vision correction, that is, the diver has 'near-sightedness' and the Rx Sphere value is a '-' dioptre. Other divers require a positive correction, that is, the diver has 'far-sightedness' and the Rx Sphere value is a '+' dioptre. In order to calculate the power you need to take into account the two aspects of your prescription. The sphere (or sph) is the main part of your prescription and will be '–' for short-sightedness (myopia) and '+' for long-sightedness (hypermetropia). The cylinder (or cyl) is the secondary part of your prescription and refers to the amount of astigmatism you have. We need the dioptre (diopter) value for each eye. When reading your prescription, 'OS' means your left eye, and 'OD' means your right eye. You could base the power you order primarily on the amount of short or long sightedness you have. If you also have a moderate degree of astigmatism (up to 2.00), you could also incorporate up to half of this to choose the most appropriate power. If the result is a quarter dioptre prescription, then you should typically increase to the next higher/stronger dioptre. For example, if the Rx is -1.75, then increase to -2.0 dioptre. If the Rx is +1.75, then increase to +2.0 dioptre. If one eye needs no correction, then order a 'Normal' or 'Plano' lens for that side. If this all sounds very complicated, it's because it is! You will find websites that let you enter your script values to calculate the two values we need. We know the formula they use, but our optometrist friends tell us using this method would often lead to disappointed customers. It's just not that simple. The decision about the values you need is best done by your optometrist as they know best what's going on with your eyes, and sometimes those other values in your script come into play. Once you know the dioptre values you need, you can then select a mask for which the range or dioptre values available matches your requirements. Finding the numerals on your gauge too small, especially in the dark? Finding your arm is not long enough, but have pretty good distance vision? If you answered yes to these questions, then you probably have presbyopia, a condition where the eye exhibits a progressively diminished ability to focus on near objects with age. On the surface the fix is reading glasses (those things you always forget just when you need them most). Bright light also helps, as it constricts the pupils, and decreases spherical aberration. Some people use prescription bifocals, trifocals or multi-focal lenses. Underwater the solution is a 'Gauge Reader' mask fitted with what the dive industry refers to as Bifocal corrective lenses. These underwater bifocal corrective lenses for masks aren't quite what people are used to with bifocal prescription glasses. With Gauge Reader dive mask bifocal corrective lenses, the lower pane (roughly a third) has the plus dioptre reading correction, and the rest of the lens is 'Normal' or 'Plano'. That's why they're referred to as Gauge Reading lenses. You need to know the dioptre value for your reading glasses. Bifocal lens mask with gauge reading correction lenses. Normal (plano) vision for top two thirds and "reading" (plus) correction for bottom third. Supplied with the bifocal lenses fitted, plus the original normal (plano) lenses. Bifocal / Gauge Reading corrective lenses are typically available in a dioptre range of +1.0 to +4.5, in 0.5 increments. If you have a quarter dioptre prescription, then increase to the next higher/stronger dioptre. Your eyes will inevitably change and within a few years you will need the stronger dioptre. Now you can select a mask which has Bifocal / Gauge Reader corrective lenses available with the dioptre value(s) you need. Note: The bifocal correcting mask lenses we sell have the reading correction attached via a permanent bond by the lens manufacturer. The correction is not an after-market 'stick on' or 'glue in' lens that is not permanent. Our own experience, plus that of our customers, very plainly tells us that none of the after-market 'stick-on' solutions work well, and thus we don't bother selling them. Please note that all of the masks listed here can have corrective lenses fitted, but only a few of the masks can have bifocal, gauge reading corrective lenses fitted. What Corrections Do We Offer? * available on selected masks only. Please Note: The scripts issued by optometrists use quarter dioptre increments. We can only provide half dioptre increments. This is another reason why you should consult your optometrist, as they will be able to come up with the values you need. None of the 'off the shelf' corrective lens masks correct astigmatism, so if the majority of your prescription is astigmatism, or you have astigmatism over 2.00 dioptres, you will need a custom made product for best visual results. If your astigmatism is less than 2.00 dioptres, or is not the majority of correction, then the corrective lens mask solutions we can provide should be fine. This is another reason why you should consult your optometrist. We strongly recommend that you consult your optometrist about which underwater vision correction solution is best for you. We recommend you show them this information. Your optometrist will be able to work out which corrective solutions are available to you and make recommendations as to what to get, plus provide the two dioptre values we need. We are not optometrists and can't read your script to determine if a corrective lens mask will work for you. Correction lenses typically will work for the vast majority of people, but some eye shapes can't be accommodated this way. Your prescription may need to be changed, because the distance between the lens of your diving mask and your eyes typically is different from the distance between your eyeglasses lenses and your eyes. (This also is one of the reasons your contact lens prescription is different from your eyeglass prescription if you have moderate or high myopia.) An eye care professional specialising in sports eye wear can adjust your prescription for underwater use. Your optometrist will also be able to provide you with the best spherical correction dioptre values for your left and right eyes given the half dioptre increments of corrective lenses. Then you can order your corrective lens mask from The Scuba Doctor with confidence in achieving a great outcome. Whatever your preference, there are plentiful corrective options available to ensure that everyone can see clearly to experience the beauty and wonder of the underwater world. Melbourne: David Glennie is an optometrist and experienced scuba diver. His team can check your eyes and translate your script into the values we need for your corrective lenses. They can even show you how it will work. If you buy a complete mask with two corrective lenses from The Scuba Doctor, we will fit the lenses to the mask for you before sending the mask out. You will also receive the original normal (plano) lenses, placed inside the packets the corrective lenses came in. Order today and your mask with corrective lenses will be assembled and usually Ship the next Business Day. We typically place orders for your mask with corrective lenses with our suppliers the same day we receive the order from you. In some cases they will be assembled and shipped direct to you from the suppliers the same business day, or if not, the next business day. Our suppliers are Sydney based, so you need to allow for the usual postal delivery times for the package to reach you from Sydney. Colour Options: Many of the masks are available with heaps of colour choices. However, sometimes our suppliers get low on some colour options. Please enter any other mask colour options you'd be happy with in the comments during the checkout process. Then we have options to switch to so that your order isn't delayed. Custom made prescription lenses made to your exact prescription are sometimes preferred by more advanced divers, for those shooting underwater photo/video, or those who need a bifocal lens with two different types of correction in each lens. We suggest you try Ozbob Scuba for custom made prescription scuba masks. Because you asked... the negative and positive vision correcting mask lenses we sell have the magnification ground into the lenses themselves. The bifocal gauge reading correction is attached via a permanent bond by the lens manufacturer. The correction is not an after-market 'stick on' or 'glue in' lens that is not permanent. Our own experience, plus that of our customers, very plainly tells us that none of the after-market 'stick-on' solutions work well, and thus we don't sell them. Contact Lens Wearers: Not all contact lenses are suitable for diving. Gas permeable lenses (GP lenses) can 'dig' into the eyes below certain depths, because of the pressure. Soft contact lenses can collect waterborne organisms and become contaminated, causing eye infections. If you wear contact lenses under your mask for diving, you need to make sure you blink a lot. Excessive starring can cause bubbles to form underneath your lenses and which may cause minor discomfort and temporary blurring of vision. Also be sure to have a spare set of contacts (or glasses) available in case you lose a contact underwater. As best as we can tell, you will be unable to claim for a refund from your health fund for the supply of a corrective lens mask. Most health funds require a medical provider item code for a claim to be successful and no dive manufacturer or dive shop we know of has this. However, you may wish to check with your health fund to see if they are more generous. For more information please see our Scuba Buying Guides: Buying a Great Dive Mask and Avoiding Mask Squeeze, plus our Dive Gear Features pages: Mask Features and Fixing Underwater Vision Problems.